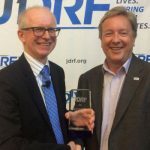 The purpose of the KidsAP project is to assess the ability of the artificial pancreas to improve glucose control in the most vulnerable population with type 1 diabetes, children aged 1 to 7 years. 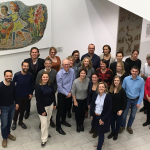 In the main KidsAP02 study, half of the participants will be treated by the personalised artificial pancreas and the other half by the state-of-the-art predictive low glucose management pump therapy (control comparator). Each treatment will last 12 months. Psychosocial: Parents/guardians’ perception in terms of lifestyle change, diabetes management and fear of hypoglycaemia will be assessed using validated questionnaires (Diabetes Technology, Hypoglycaemia Fear Survey, Quality of Life, Diabetes Burden) and semi-structured qualitative interviews conducted with parents/guardians to assess the use of and engagement with closed loop systems and changes in these aspects over time; health professionals will also be interviewed. Cost-effectiveness analysis: We will examine costs & outcomes. Costs will include those relating to diabetes (complications and management). An incremental cost-effectiveness ratio (ICER) and cost-effectiveness acceptability curve will be estimated based on total treatment costs and QALYs. Also, the estimation of the time alive and free of complications and the lifetime costs will be possible due to the model. The sensitivity analysis will examine the robustness of the ICER. WP1 will address project coordination and management. The main objectives are to coordinate, manage and monitor the project, to ensure swift and smooth decision making, communication within the consortium and towards the Commission and to report to the Commission. It will foster collaboration between the Participants and ensure compliance with EC requirements. WP2 will perform a feasibility trial to pilot the study setup and to address the specific needs of the studied population by comparing closed loop insulin delivery using standard strength insulin and diluted insulin over 3 weeks. The results will feed into the design of the main study. 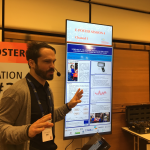 WP3 covers studying the application of the closed loop system at home, under daily life conditions in very young children with type 1 diabetes over a 12 month period. To this goal, a randomised, multicentre trial will be designed and executed comparing the use of the closed loop system to state-of-the-art predictive low glucose management insulin pump therapy. As determined by the pilot feasibility study, either full strength or diluted insulin will be used. The aim is to show effectiveness, safety and usability of the closed loop insulin delivery system, as well as its impact on children/family centred outcomes. 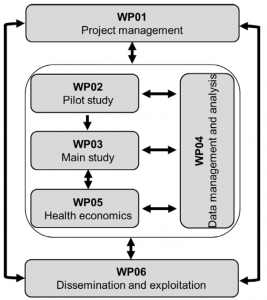 WP4 will integrate project specific data types in cooperation with all participants to ensure highest quality standards for clinical trial data management and subsequent data analysis. The objective is to ensure compliance with the “ethics requirements” set out within the work package. The ambitious objectives of KidsAP require a strong and coherent management structure to support the progress of the project. 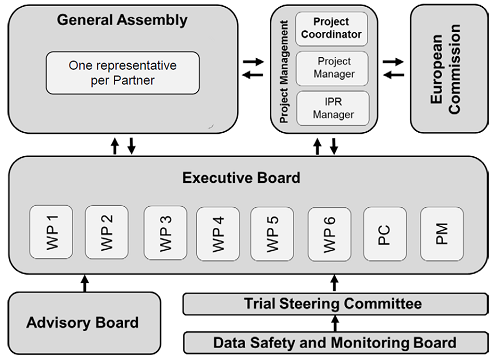 The schematic to the right shows how the organisational bodies interact in the project.